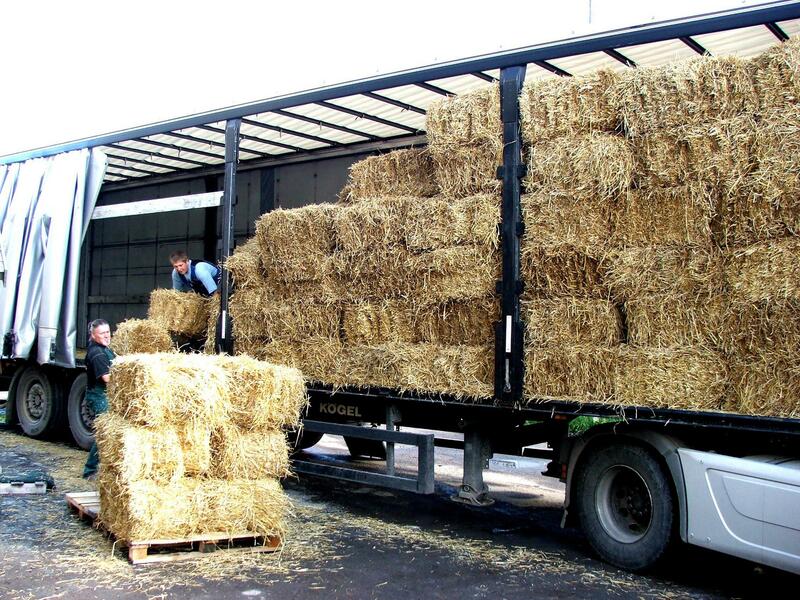 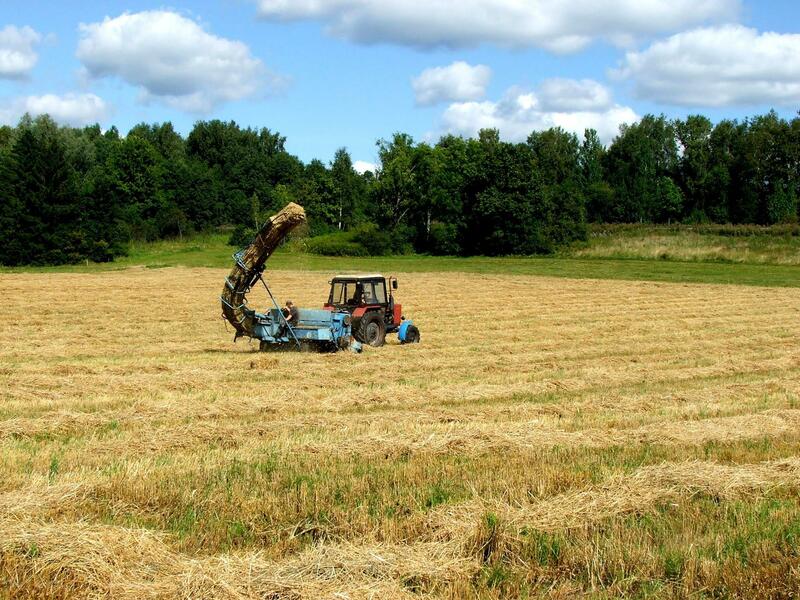 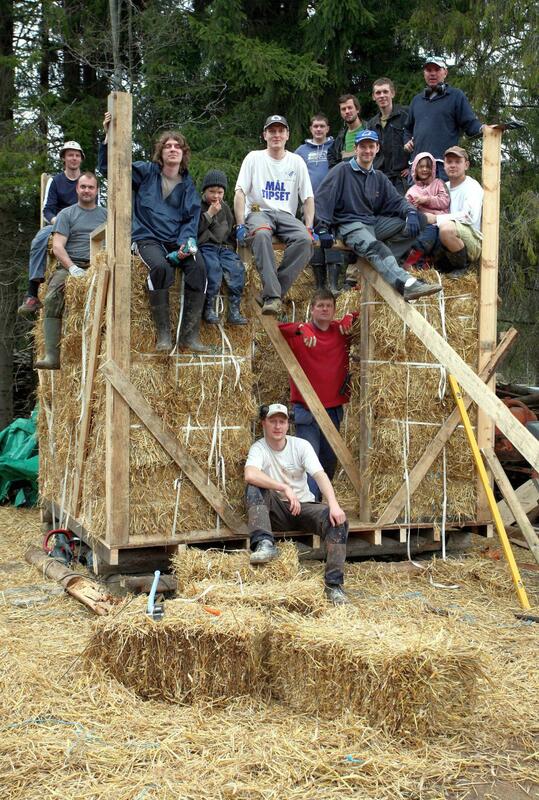 For building walls of straw we use the straw-bales of Estonian straw produced specially for building. 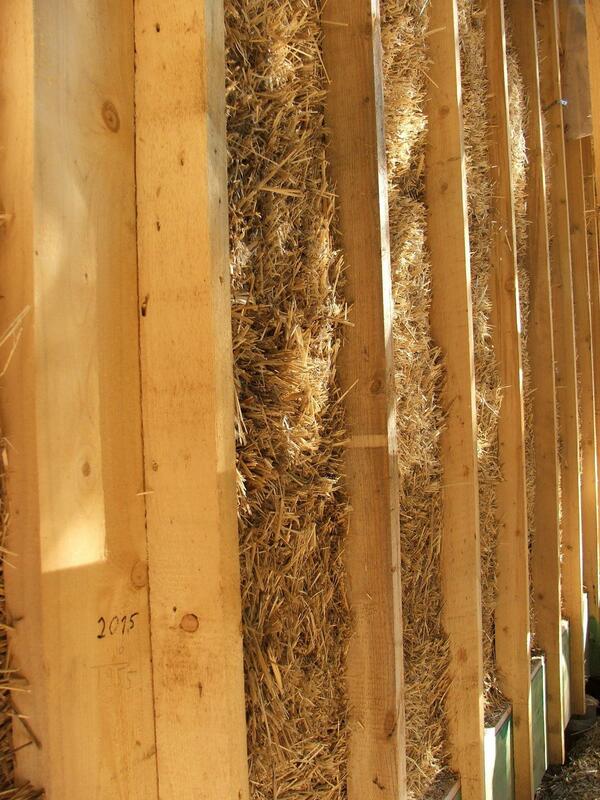 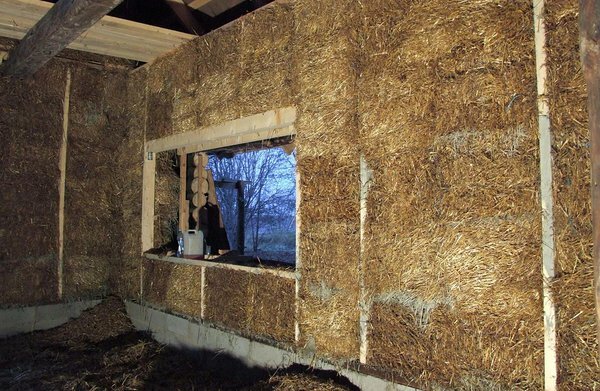 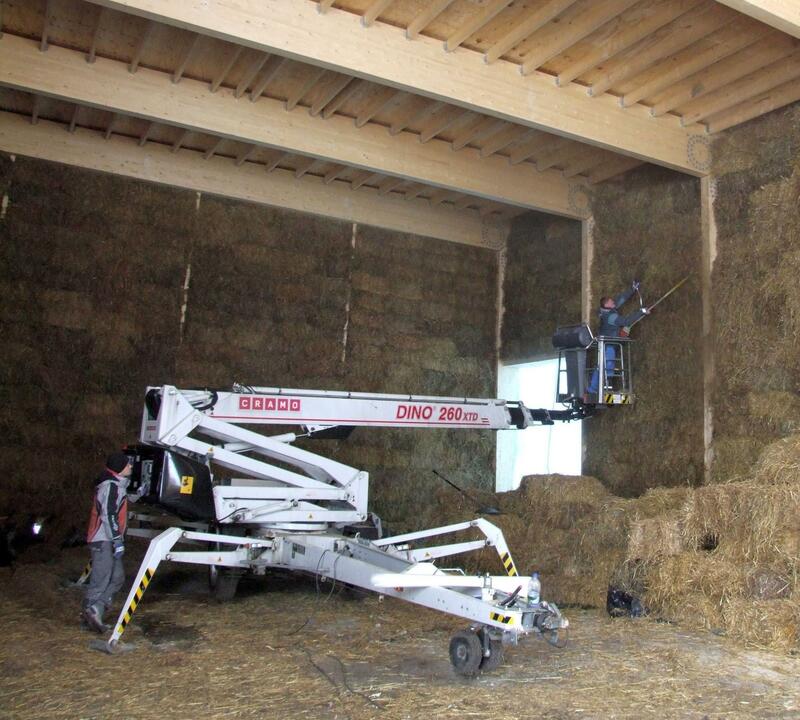 It is possible to build both load-bearing walls of straw-bales where the bales bear the weight of the roof, and carcass walls where the straw-bales have the heat insulation purpose. 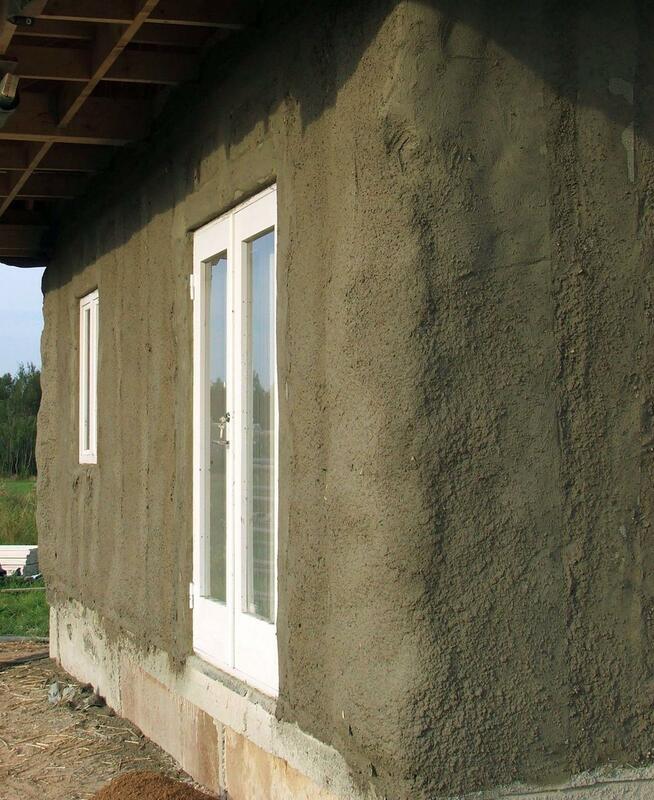 Both solutions are suitable in our climate for building exterior walls. 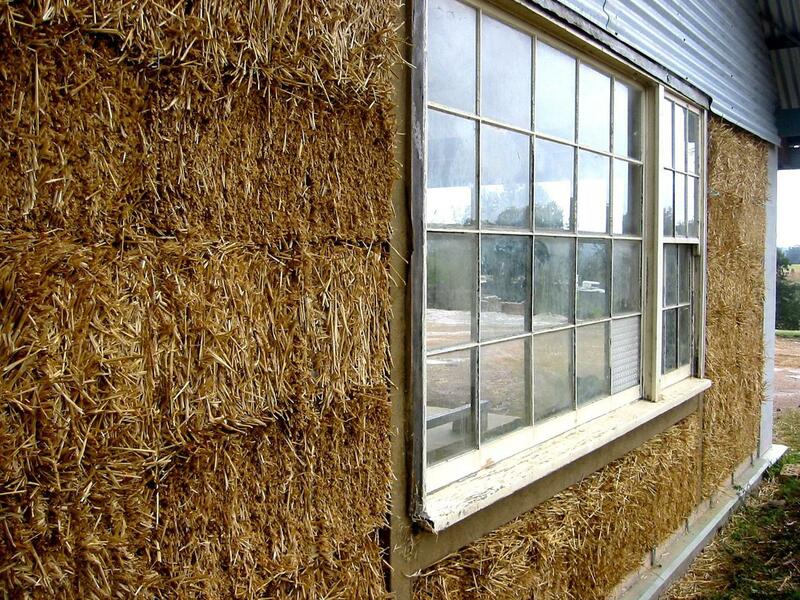 We promote building with straw as straw is a local resource recovering every year and a very suitable building material. 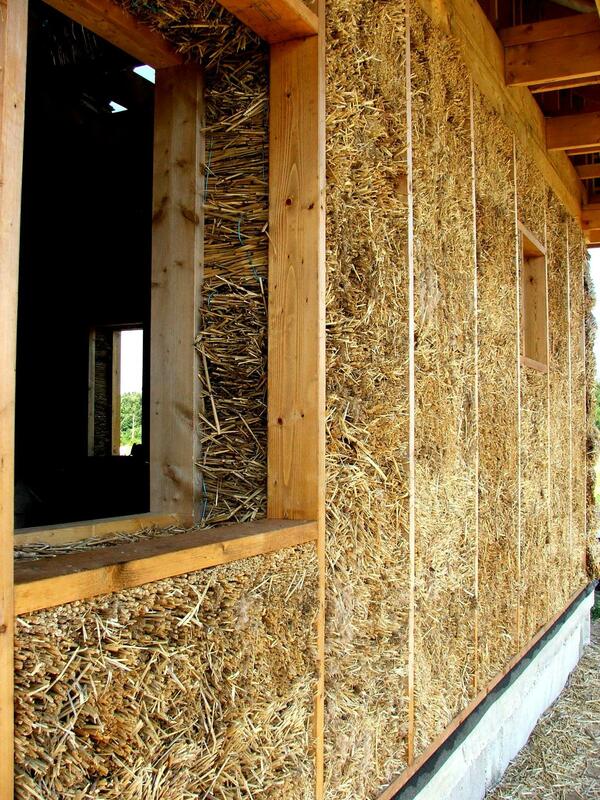 Producing a straw-bale needs 77 times less energy than producing the same amount of synthetic wool. 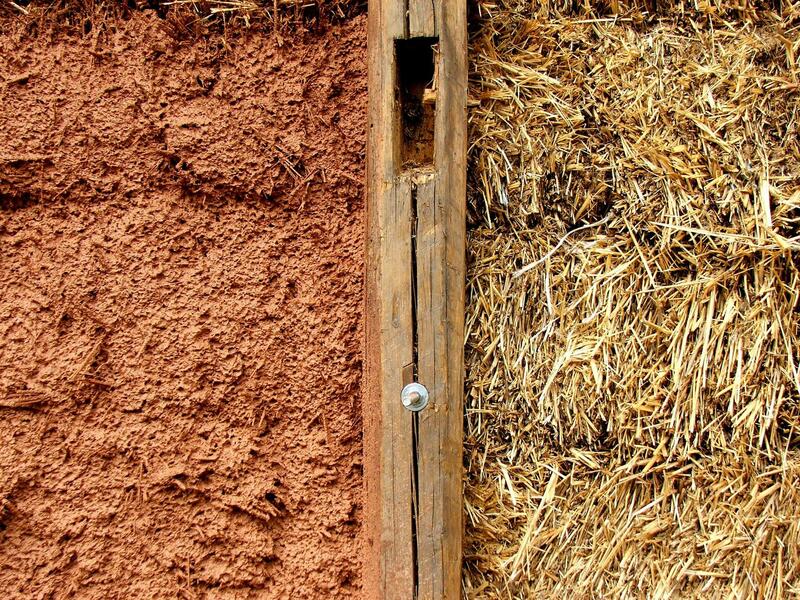 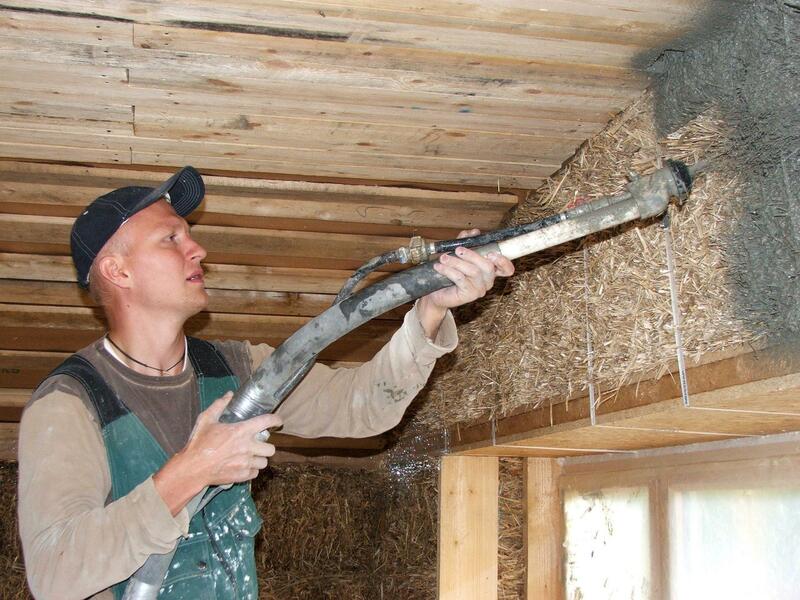 The heat indicators of well-built straw walls are 2 times better than of average exterior constructions built in Estonia. 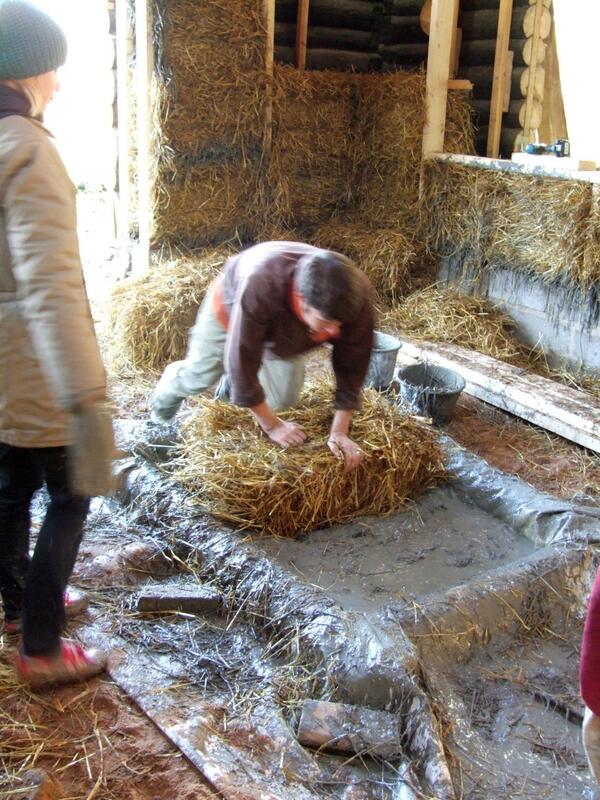 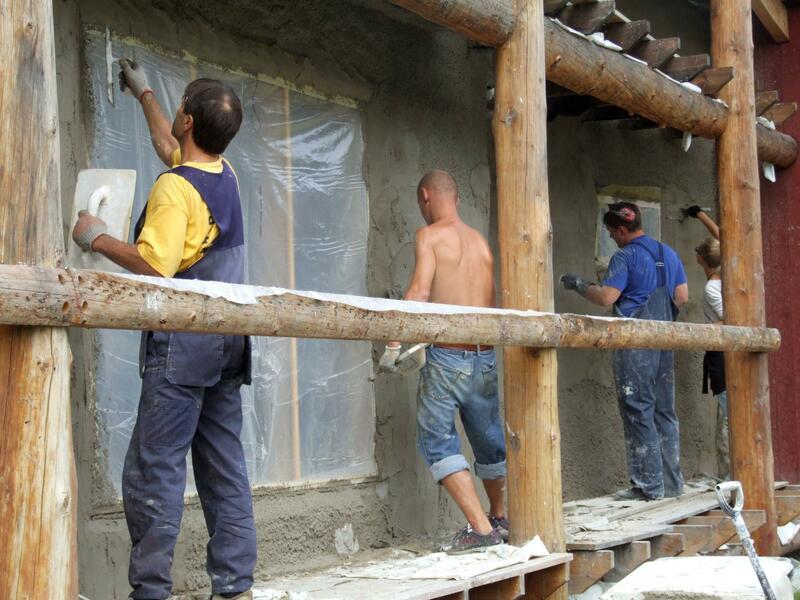 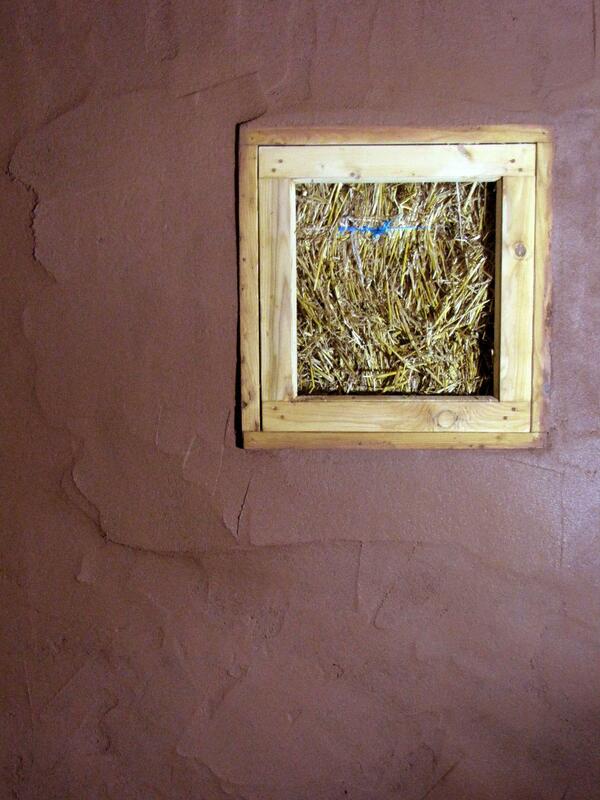 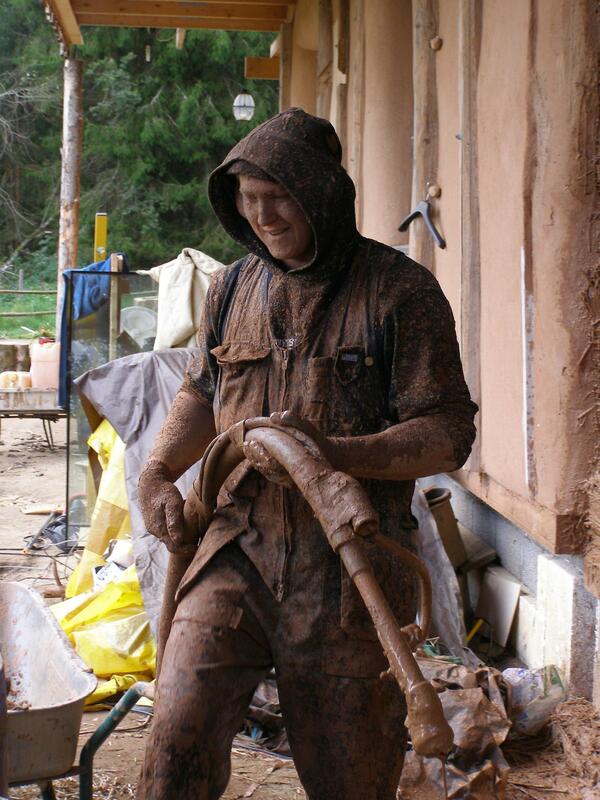 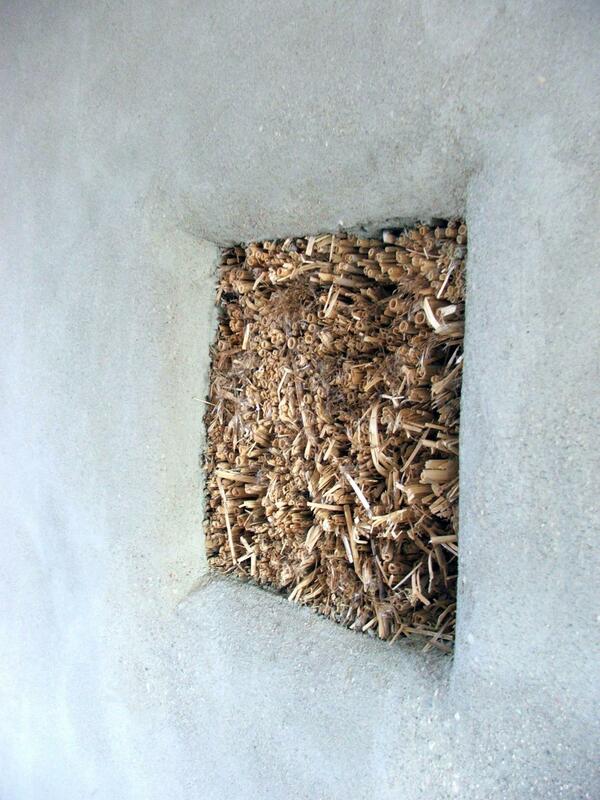 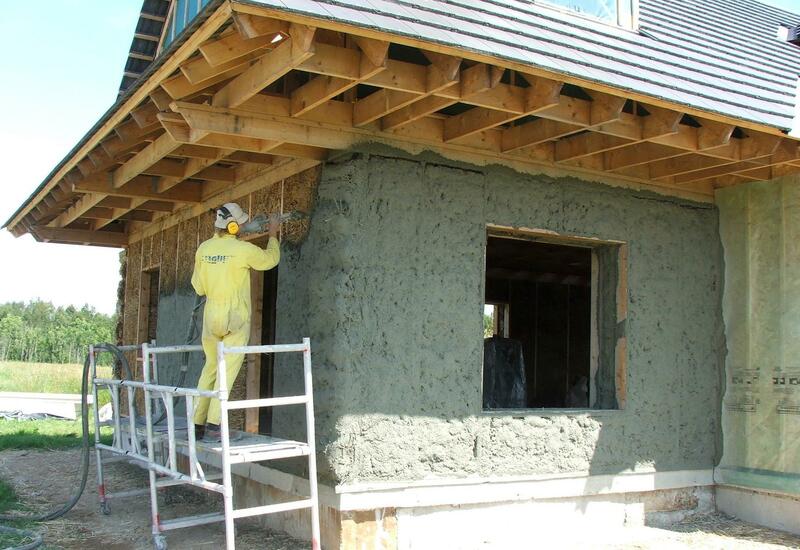 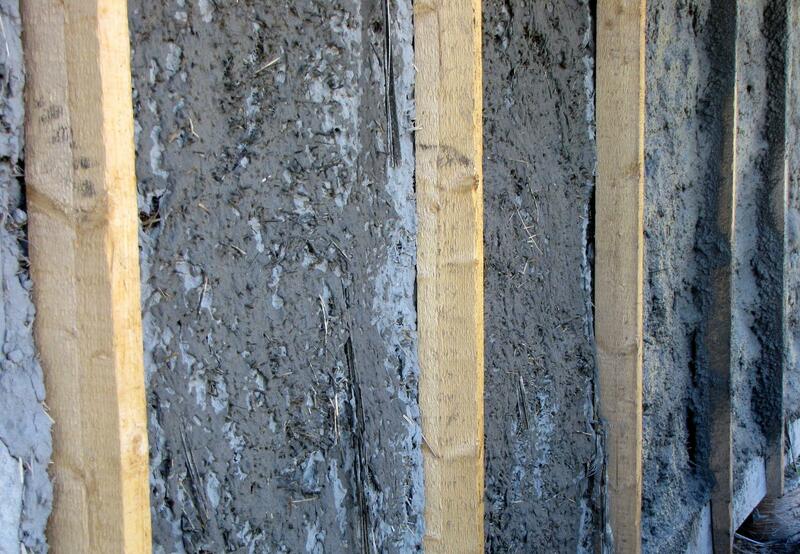 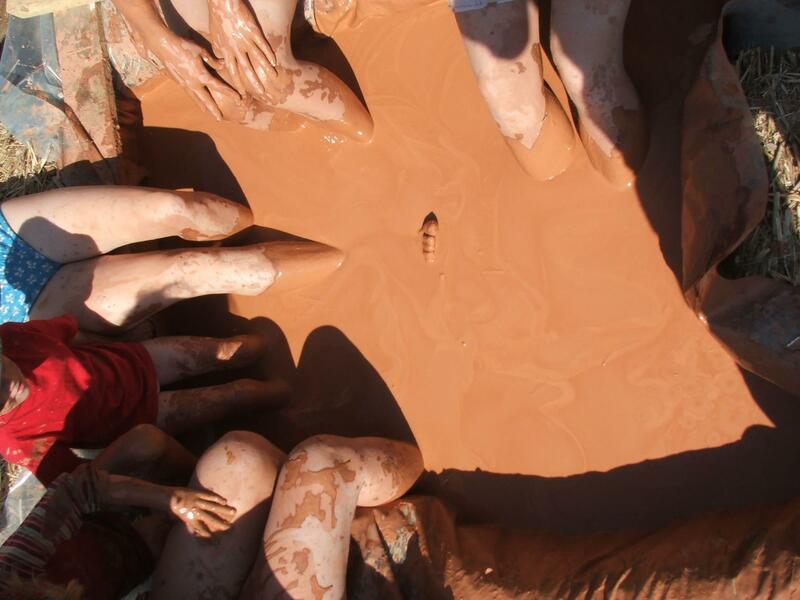 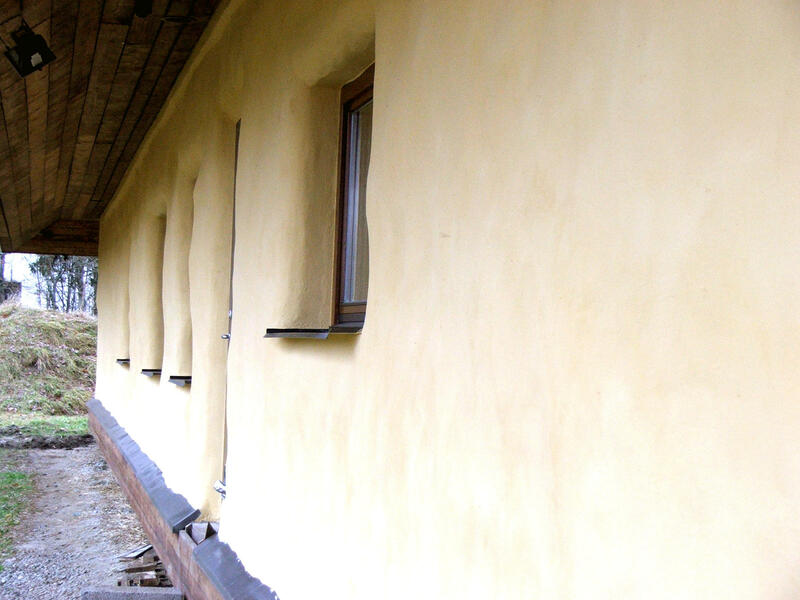 For plastering the straw-bale houses we use lime and clay plasters based on natural adhesives. 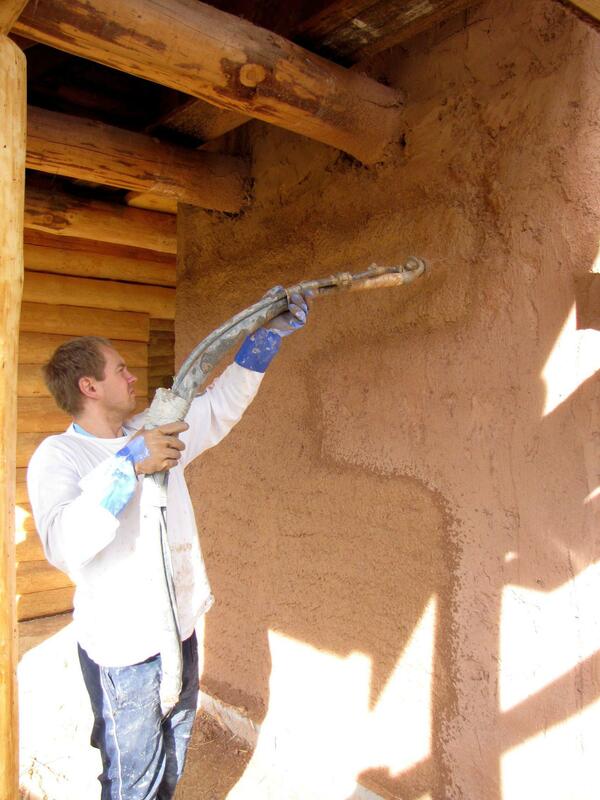 We make the plastering with a special plastering sprayer. 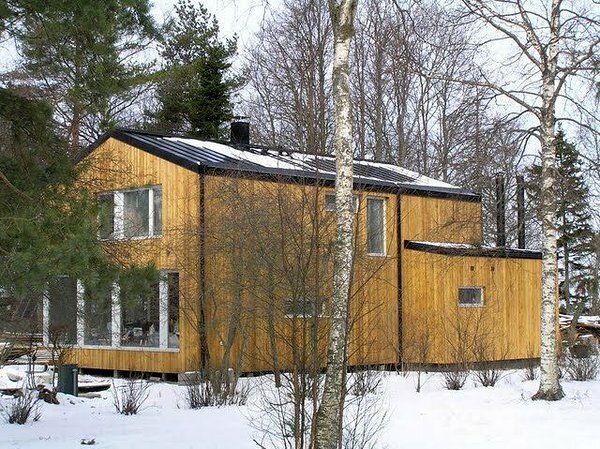 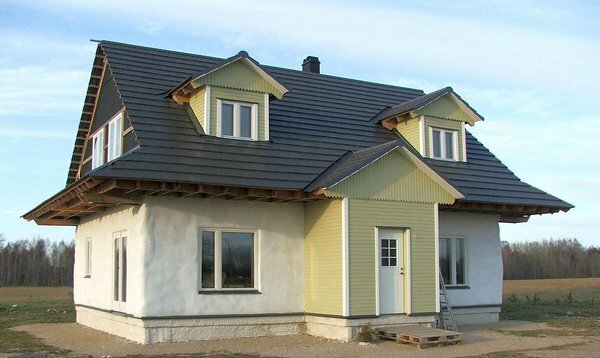 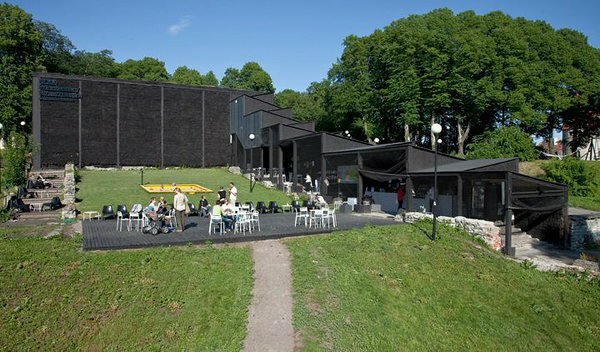 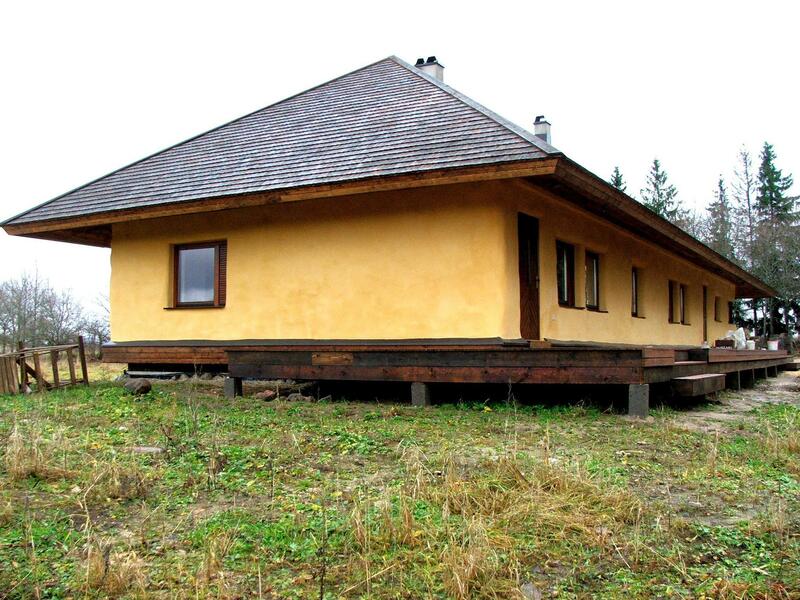 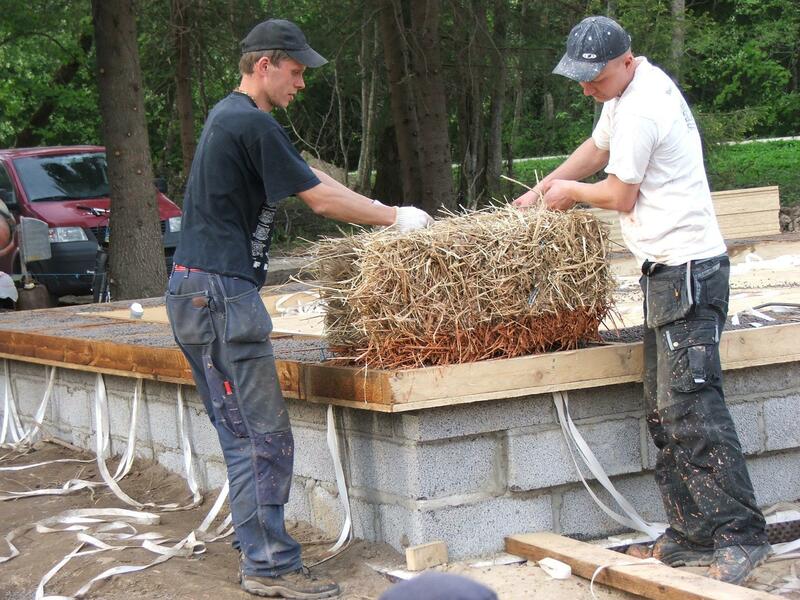 Until today we have plastered more than ten straw-bale houses in Estonia. 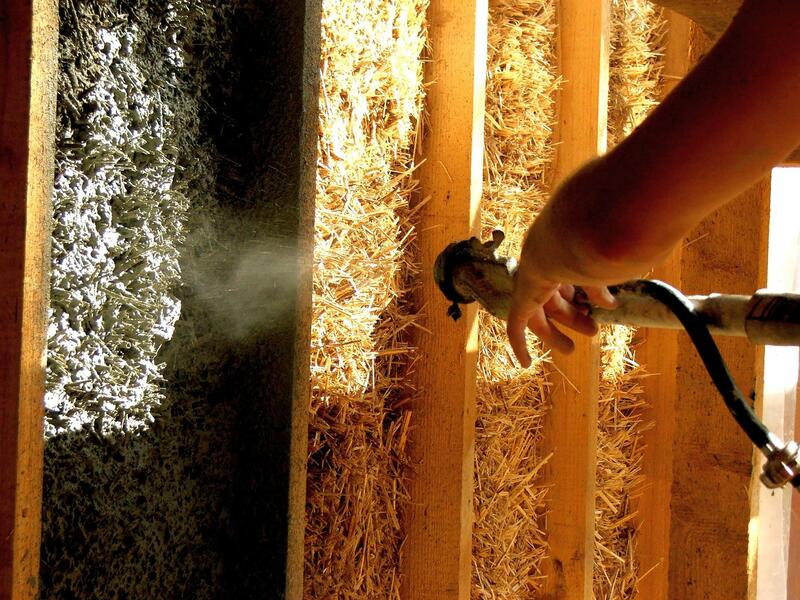 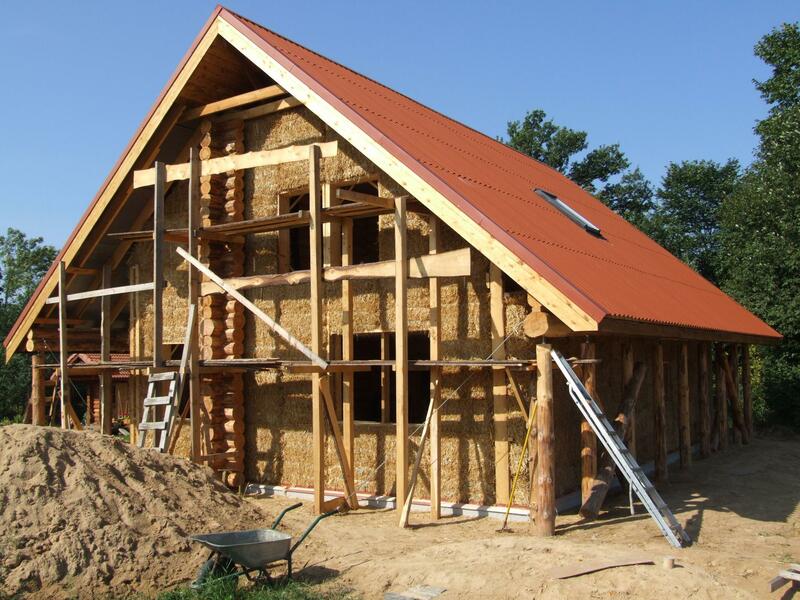 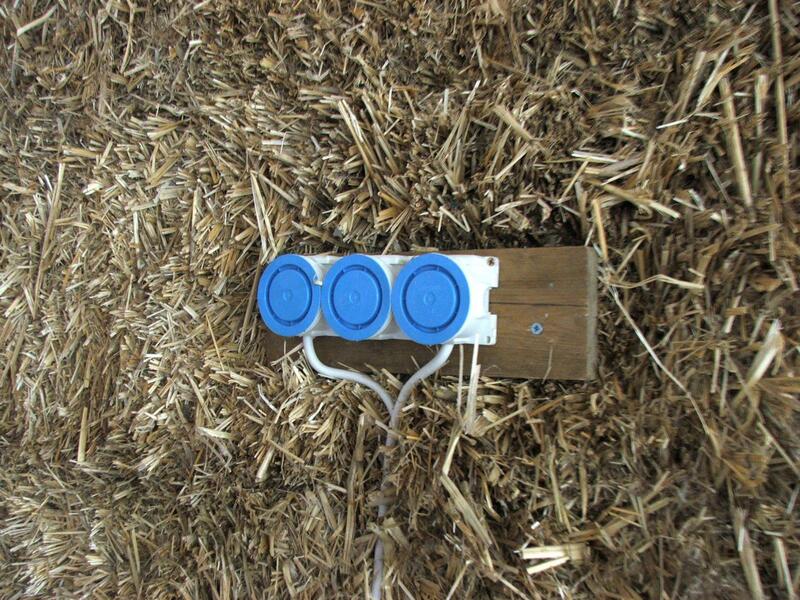 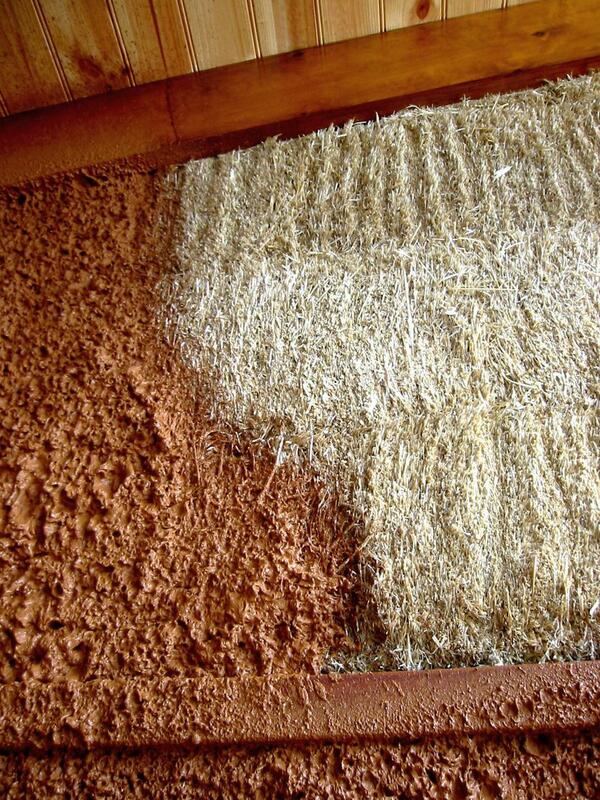 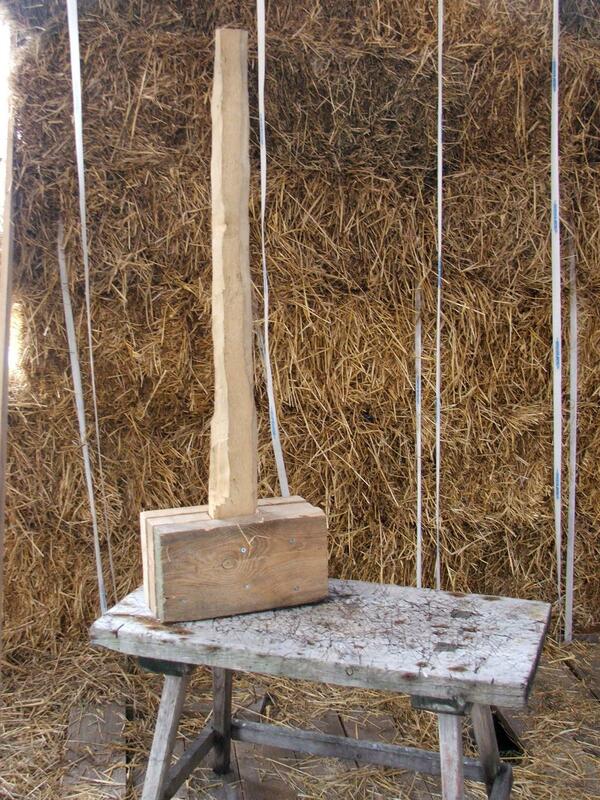 The right choice of the plaster and plastering technique is very important for protecting the straw-bales from changing weather. 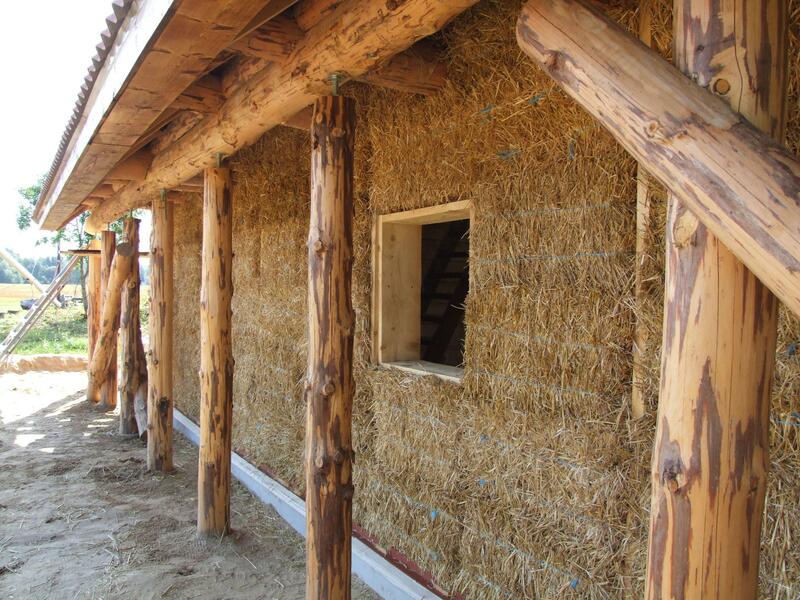 We help to organise and carry out working bees of building a straw-bale house. 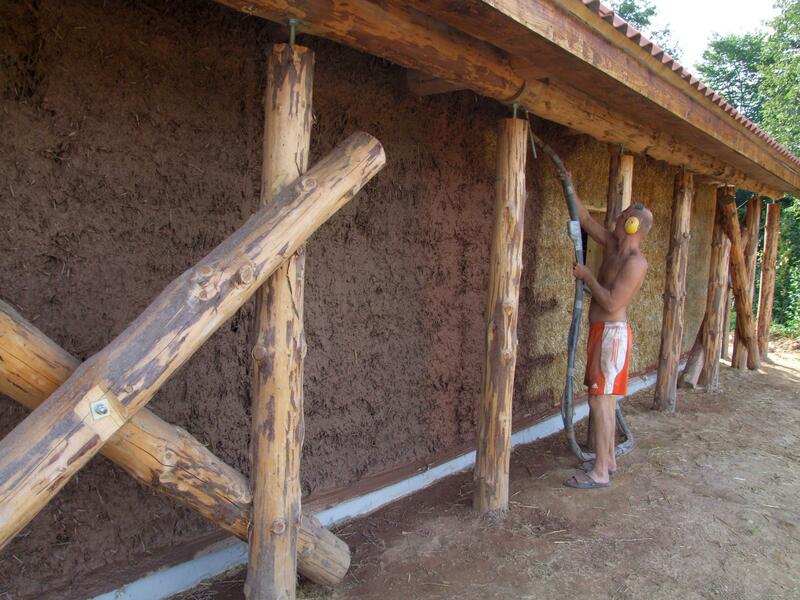 The labor-intensive and a lot of human resource needing phases like building and plastering the straw-bale walls, is reasonable to make as working bees. 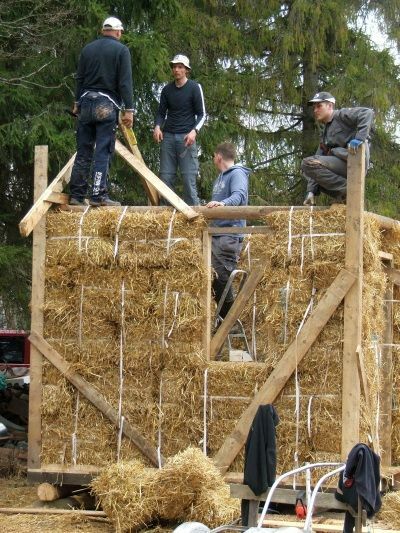 We offer the knowledge of building with straw and the professional experienced instructors, you only need people who want to work.